Although rumored to be titled Die Hard: Year One, the newest addition to the Die Hard franchise will simply be titled McClane. The new name obviously indicates a showcase for the origins of John McClane, the character made famous by actor Bruce Willis in 1988’s Die Hard. So why is Twentieth Century Fox switching gears and changing the namesake of such an illustrious movie series? Simply, this movie will focus on John McClane like never before. 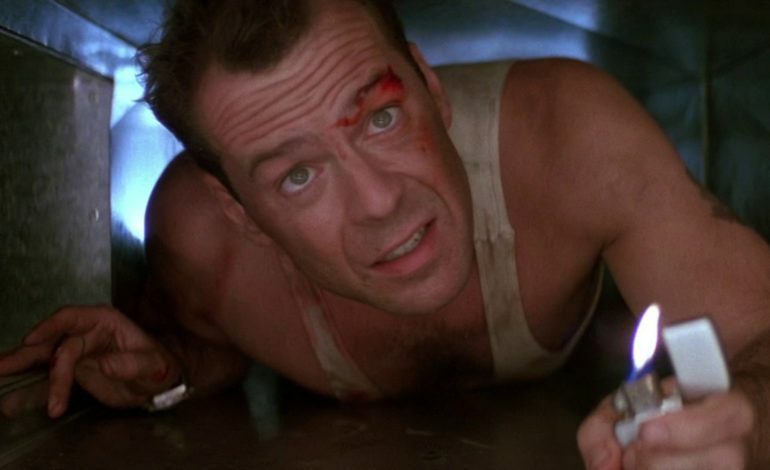 In an exclusive with Empire, producer Lorenzo diBonaventura reveals that McClane will not only feature Bruce Willis as the 60-year-old badass cop who battles terrorists in his spare time (Christmastime anyone? ), but will also show a younger 20-year-old version of McClane. Considering that Willis is in his sixties now, a younger actor will likely be playing young McClane, but there has been no confirmation as to who that will be yet. In the prequel/sequel, diBonaventura said that the movie will invest in the story of McClane more than any of the other films. Since Willis is the embodiment of McClane, both the past and present segments will have balanced movie time. The last installment in the Die Hard series released in 2013 to middling reviews. In A Good Day to Die Hard, McClane heads to Russia to meet his CIA operative son who is working undercover. Since then, Willis has kept busy in the film industry. His recent work will see him returning to the big screen in Glass as David Dunn, the protagonist in M. Night Shyamalan’s 2000 Unbreakable film. Audiences learned in 2017 that Shyamalan‘s Split existed in the same universe as Unbreakable, forming a series that will presumably end with Glass in 2019. Whether seeing him in comedies, thrillers, or his beloved action attire, audiences will rush to check out Willis in theaters for years to come. With the impending production of McClane, Willis proves that age ain’t nothing but a number.